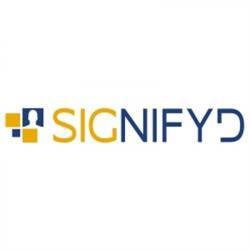 At Signifyd we’re creating a new market. We’re constantly improving and expanding the technology that has changed what fraud protection for e-commerce looks like. We don’t have time for office politics, we understand that different people have different work styles and we thrive on that diversity while learning from each other. We’re all ‘Signifyers’, so we know that what needs to get done will get done. As a Grad, we want you to bring your own style, individual passion, ideas and interests to our team. Everyone at Signifyd has the chance to get involved and deliver great solutions for our customers. Our Graduate Software Engineers will get industry leading guidance and support to learn our technology stack and grow into fully productive members of our team; no bench sitting! If you want help, you'll get it - from all quarters, but we’ll encourage you to figure out what needs to be done, identify who is in the best position to make it happen, and if that’s you, roll up your sleeves and have at it! Our Belfast R&D HubOur Belfast office opened in early 2019 and is the hub for Signifyd’s accelerated international expansion. Belfast will quickly grow from a development center to an office that houses the full range of roles needed to build ecommerce success for our European customers. The Belfast team are a fantastic bunch of talented people working across multiple disciplines. We’re passionate about creating and delivering innovative solutions for our customers and solving problems together; all while having fun at the same time. If you share our values, we think you’ll fit in nicely! We are looking for passionate graduates to join our established development teams in Belfast. You’ll have the opportunity to join engineering teams who are leveraging the latest technologies to develop innovative solutions and services and do things that haven’t been done before in our industry. You’ll have the opportunity to work with experienced professionals, collaborate with other partners across the business and deliver a fantastic and seamless experience for our customers. Our main stack includes Java, Python, Cassandra, MySQL, Solr, Apache Spark, Play! framework, Linux, Docker and AWS. then we’ll help you to pick up the rest! Be part of a team who are responsible for the full technology stack related to their product or feature; from the user level APIs right down to the databases, streams, and queues, that back the functionality!